Well, it's officially autumn (can't you tell? I mean, the temperatures have dropped to the low 90s! ), and I'm off to a running start with exciting music, video, and writing projects here in San Diego. As I recently posted, David Robles and I are busy editing exciting new Gary Wilson and the Blind Dates footage, Javier Escovedo and the City Lights shows, a Max Daily original performance, and more. Here is a fun example (Gary Wilson live at the Til Two Club in City Heights) of something you can expect plenty more of in the near future. 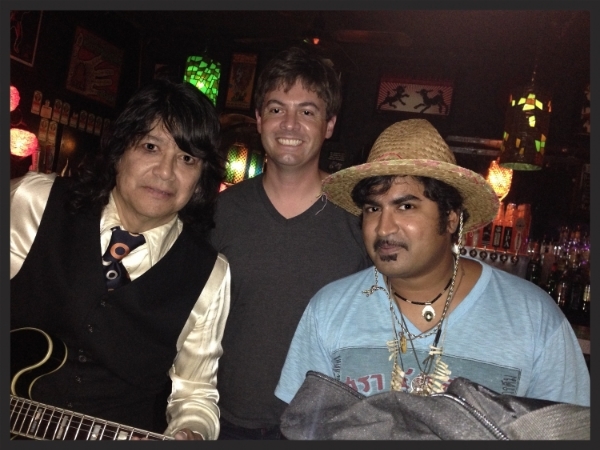 Additionally, I've been playing some really special shows with Javier Escovedo and the City Lights recently. David Robles has now joined the band, and I feel we are gaining momentum with every show we play. This fall's highlights so far include our Adams Avenue Street Fair performance, an M-Theory record shop in-store set, and this past Monday's opening slot for The King Khan and BBQ Show at the Casbah. More music ahead in the coming weeks, including recording drums for the legendary R. Stevie Moore -- details to come on that exciting project! Besides my involvement with music as a drummer, I will be writing more San Diego music reviews in the coming weeks, and will absolutely post and and all links to those publications. Thanks, as always, for tuning in!